I had a bunch of special projects recently and it's time to share them! 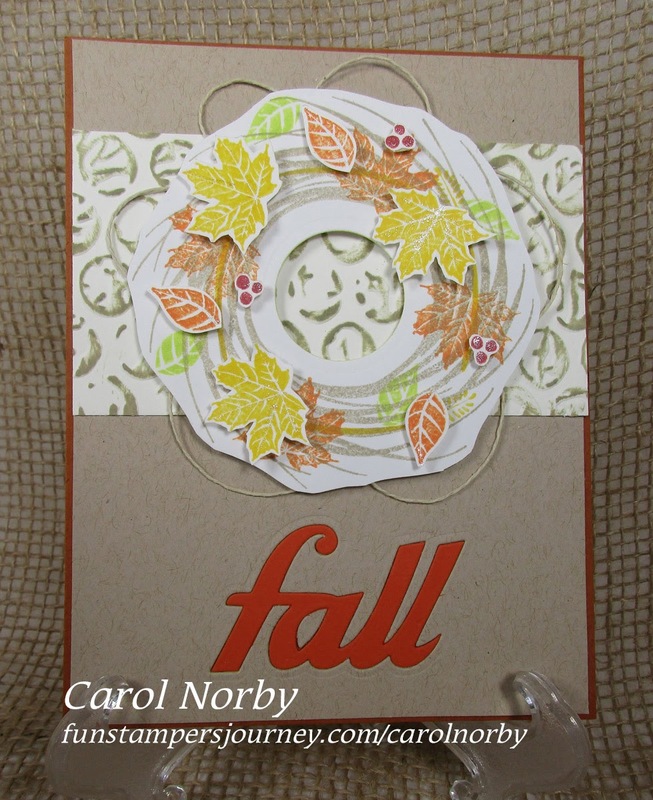 This card was made for a challenge, Fall colors and use an embossing folder. 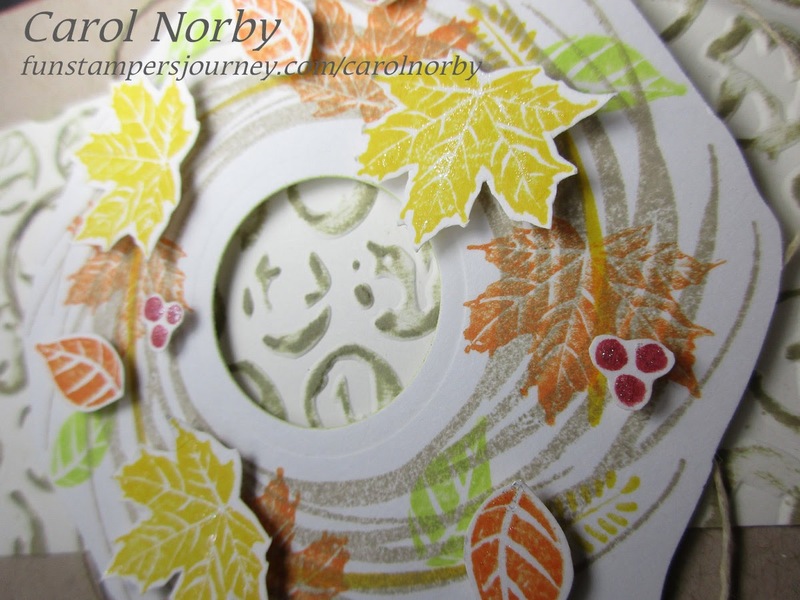 I used our Harvest Wreath Bundle, Snapshot Frames die set, and Bubble Wrap embossing folder. I used Pumpkin Bread, Oatmeal Cookie, Butter Cream, Tangerine Fusion, and Whip Cream card stocks. 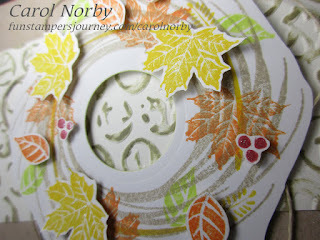 After stamping the wreath in Oatmeal Cookie ink on Whip Cream card stock (should have used Buttercream) I stamped various pieces of the stamp set in fall color inks directly on the wreath and detail cut. I then stamped some more on another piece of Whip Cream and detail cut. The center of the wreath was die cut with our smallest of circles dies. The embossed Butter Cream piece was lightly swiped with Oatmeal Cookie ink. I die cut the word Fall in the Oatmeal Cookie layer then die cut it again in the Tangerine Fusion card stock. I put a piece of scotch tape behind the word spot in the Oatmeal Cookie and adhered the Tangerine Fusion. Turned out pretty good. I also used some Natural Twine, Foam Squares, Easy Glide Adhesive, and my Amaze machine. Other than not sticking to Butter Cream card stock for the stamped images I like how this turned out. Today I'm meeting with my downline and friends as we play and experiment with our Gel Presses. I'll share some of our "creations" later.